At our office, we treat each patient as if they are a family member. Our team consists of dedicated individuals who are caring, friendly, and professional. It is our goal to not only take care of your dental needs but to ensure a pleasant experience during your visit to our office. We take pride in communicating well with our patients and providing personalized care based on specific oral health needs. Our team members are energetic, have a wealth of experience, and are committed to delivering the best care possible to our patients. His emphasis on patient comfort as well as keeping up to date with the latest advancements in dentistry enable him to provide his patients with the best quality of care in the field. 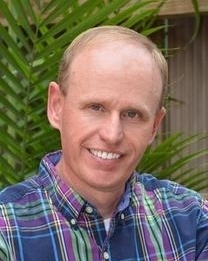 Dr. Davis has a broad range of experience in different areas of dentistry, from cosmetic and restorative dentistry to surgical treatments and root canal therapy. His approach to your treatment starts with carefully and attentively listening to you. Then, after a complete and thorough examination, he reviews and discusses any diagnoses and treatment options with you. In his spare time, Dr. Davis enjoys spending time with his wife and two children, golfing, and watching U.K. basketball and football. Go Cats!! Hailing from El Paso, Texas, Dr. Edens graduated from Texas A&M University with a double major in biochemistry and genetics. After graduation, he attended dental school at the University of Kentucky College of Dentistry. Upon completion of dental school, Dr. Edens was chosen to participate in a one-year general practice residency at U.K. that focused on restoration, cosmetic, and hospital-based dental cases. Both he and his wife have lived in Lexington for over 18 years and proudly call Kentucky their home. Dr. Edens enjoys Kentucky basketball, golf, and great movies. 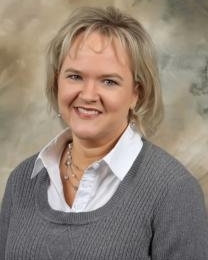 Amber is primarily our financial manager, and she oversees the operations of the practice and handles all bookkeeping. When away from the office, she enjoys reading, puzzles, shopping, and spending time with her husband, Chris; her children, Caleb and Emily; and their mini-golden doodle, Abby. Lauren has a BA in Art Studio from the University of Kentucky and brings more than 11 years of customer service experience to our team. She joined our practice in December of 2015 and loves interacting with patients and leading the Garden Springs Dental team. She strives to maintain a positive and encouraging working environment. She has been a fantastic addition to the team! During her free time, Lauren loves home organization and decorating, being outdoors, creative projects, enjoying live music, and spending time with friends and family. Morgan has the love and support of her husband, Steven, and they have an adorable 2 year old son named Lawson. In her free time, she enjoys spending time with her family, traveling, scrapbooking, going to church, and practicing calligraphy. Claudine joined our team in 2013, bringing with her ten years of customer service experience, four of those spent in the field of dentistry. Claudine is married to Jon and has two children, Jordan and Jessica. Outside of work, she enjoys going to church and is very involved in the scouting community. 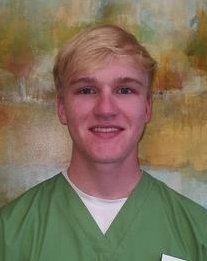 "I love getting to meet new patients and working with new people every day. I really enjoy creating a lasting relationship with patients and creating a welcoming environment." There’s more to Grace than just her friendly face and pleasant voice. In her spare time she enjoys knitting, doing crafts, taking her dog to the park and going to local music shows. 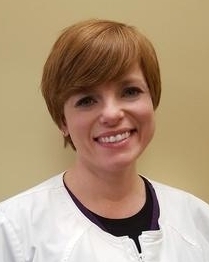 "I enjoy all the patients and working for a family owned business that truly cares about their patients above all!" When Michelle's not working, she enjoys spending time with her husband David, children Makayla & Logan, going to church, and visiting with friends. She loves hiking, reading, and creating memories with her family. Eva is a graduate of the University of Manitoba in Manitoba, Canada. She has been with us since 2007 and loves taking care of her patients. Eva is married to her husband, Derek, and has a son, Cole. When away from the office, she enjoys gardening and watching her son participate in sport and school activities. 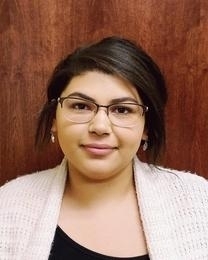 Aimee is a graduate of Bluegrass Technical College and a fantastic addition to our team. She enjoys teaching patients new things, particularly when it comes to helping them learn to care about their oral health and its correlation to systemic health. Aimee is always happy and positive and truly loves her job! Outside of work, she stays active with her husband, Chris, and children, Tiffany and Evan. Aimee also enjoys good food and church on Sundays. 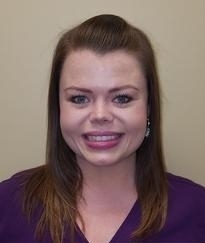 A graduate of Big Sandy Community & Technical College in 2008, Amber has been a member of our team for nine years now. Our patients love her sweet disposition and gentle touch while cleaning their teeth. "I love working with patients to help them improve and maintain their oral health." She is married to her husband, Ryan, and has two daughters, Addy & Sadie. She enjoys reading, baking, traveling, spending time with family and friends, and cheering on the UK Wildcats! Go Big Blue!! "I enjoy getting to help people and educating them on how to keep their mouth clean and healthy. May favorite part is the relationships I get to make with my patients!" Outside of the office, Lauren loves traveling, hanging out with her friends, reading and watching Netflix. Aubrey's outgoing and fun personality has made her a fantastic addition to our team and is quickly growing a patient following! She has a Bachelor of Science degree with a major in Biology and Chemistry minor from Eastern Kentucky University. She later attended Bluegrass Community & Technical College to obtain her Associates of Applied Science in Dental Hygiene. "I genuinely care about my patient's needs and enjoy finding methods to improve each and every individuals oral health." Outside of the office Aubrey loves finding and trying new restaurants around town, watching UK basketball & movies, and hanging out with friends and family. After jumping into the dental field at 15 years old, Cassie has had a passion for dentistry her whole life! 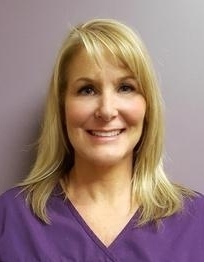 Since graduating from Bluegrass Community & Technical College in 1992, she has worked in virtually all areas of the dental office, with experience coordinating insurance benefits, scheduling, assisting, and managing a practice. Her additional skills in coronal polishing and I.V. placement for sedation dentistry make her quite a gem! Cassie enjoys dentistry because she has a love for art and creativity. She also finds joy in sharing the excitement and confidence that a new smile can bring! Cassie has two sons, Trevor and Dalton. When not working, she enjoys art, vinyl cutting, photography, clogging, and singing. 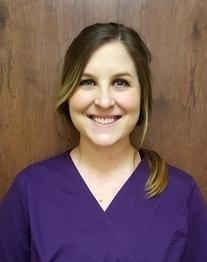 With over 9 year of experience, Jessica’s knowledge and skills as a dental assistant are a valuable asset to the Garden Springs Dental team! Jessica graduated from the Institute of Dental Technology in 2009 with her Expanded Duties Dental Assistant certification. 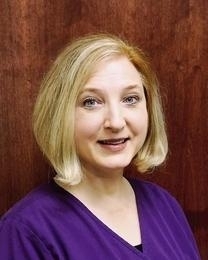 She works side by side with Dr. Edens to provide exceptional dental care to our patients. Even though Jessica is a fairly new addition to our practice, her can-do attitude and bubbly personality are contagious and she sets the tone for a productive workday. In her spare time, Jessica enjoys going to the movies or shopping. Jerica has the love and support of her husband, Daniel, and enjoys cuddles from her dog, Waylon. In her spare time she’s riding her dirt bike, loves hanging out with her family (especially her nieces), and is singing as a member of the Christian band called “The Collective”. Jerica likes going to church and being on the praise and worship team, as well as playing a big role in the kid’s ministry. Caleb began working for our office to maintain the lawn mowing and landscaping when we purchased our new building in 2014, and in 2016, began working additionally as a Clinical Assistant to all our staff. His desire to learn, his work ethic, willingness to help in any task, and his outgoing and humorous personality make him the life of the party! He has been a great addition to our team! Caleb is currently a Freshman at Morehead State University where he is pursuing a Business Degree. When away from school and work, he loves to fish! He is also very active with his friends and family, and enjoys spending time with his Mini-Goldendoodle, Abby.